7 days to go for submissions in the DataVis contest at useR!2014 (see contest webpage). Note that the contest is open for all R users, not only conference participants. PISA dataset allows to challenge some ,,common opinions”, like are boys or girls better in math / reading. But, how to compare differences between genders? Averages are not fancy enough 😉 Let’s use weighted quantiles calculated with function wtd.quantile() from the Hmisc package. 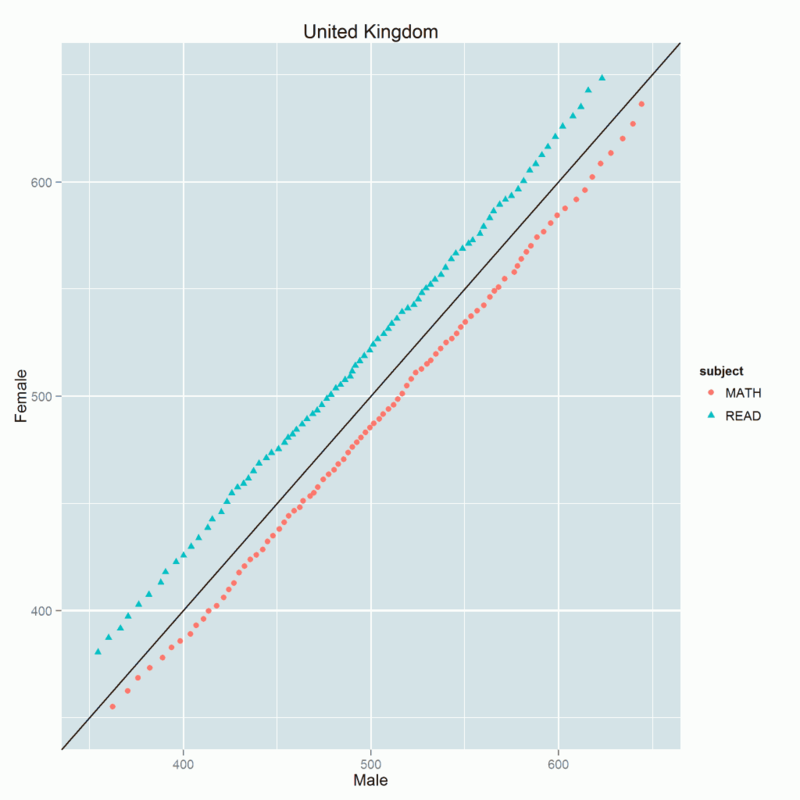 Below we present quantile-quantile plots for results in math and reading. Each point represents a single centile. X coordinate stands for centiles of male scores while Y coordinate correspond to female scores respectively. Black line is the diagonal, points on this line correspond to equal centiles in both distributions. 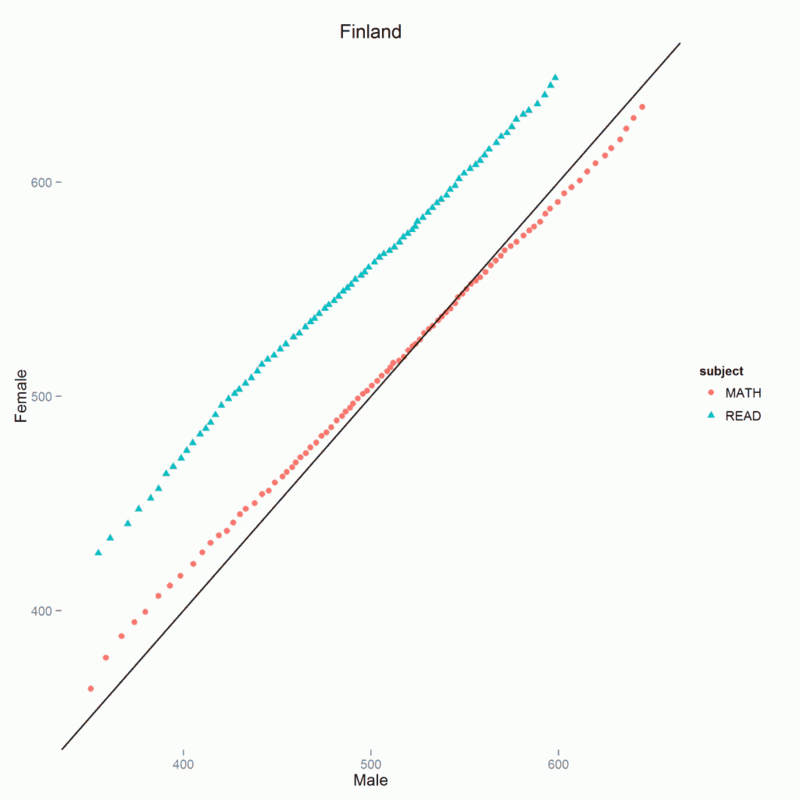 Points below black line correspond to centile for which boys are doing better than girls. Points above black line correspond to centiles for which girls are doing better. 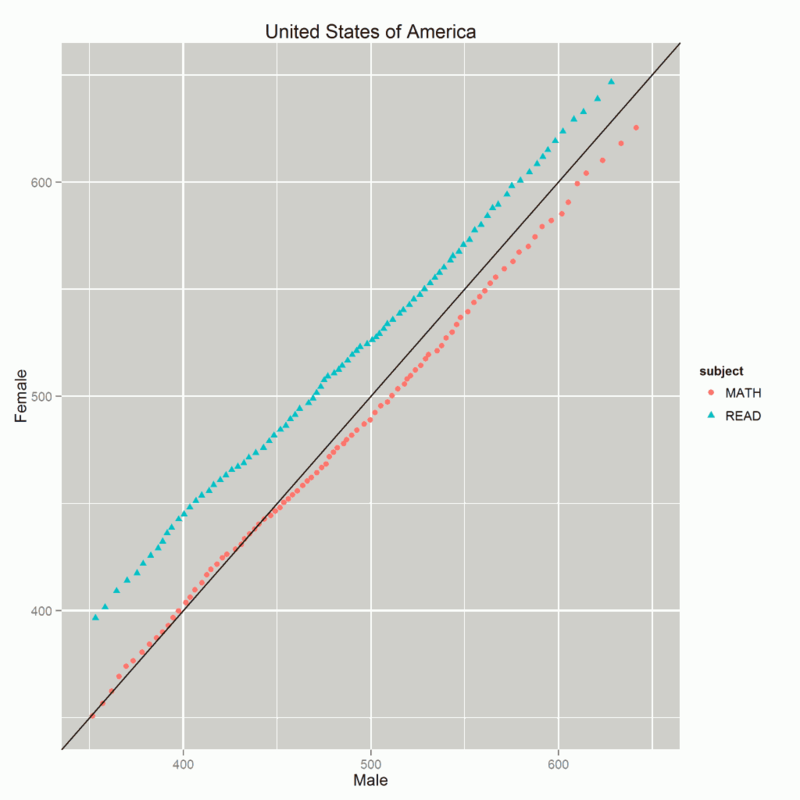 For reading the story is simple, girls are doing better for all centiles, whole distribution is shifted. But for math the story is different for different countries. What is the story for your country?